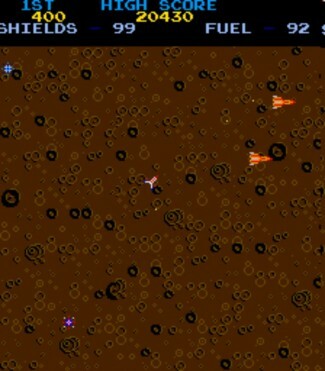 Flying over the moon’s surface you must shoot 16 different targets, each having its own point value. You must enter all the uniquely numbered bases. After using your shields, you must find a refueling base.